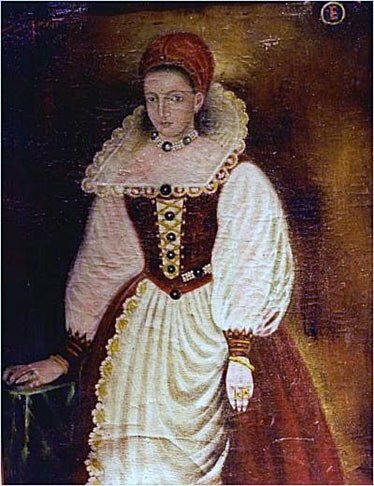 Countess Elizabeth Báthory de Ecsed (Báthory Erzsébet in Hungarian) is recorded as being one of the most prolific serial killers in history, as documented by her entry in the Guinness Book of Records, and is estimated to have brutally tortured and killed between 80 and 650 young women between 1585 and 1610. She was imprisoned in 1610 within Csejte Castle, now in Slovakia, where she remained immured in a set of rooms until her death four years later. The gruesome tale of Elizabeth Bathory has become part of national folklore and the subject of numerous plays, books, and movies. 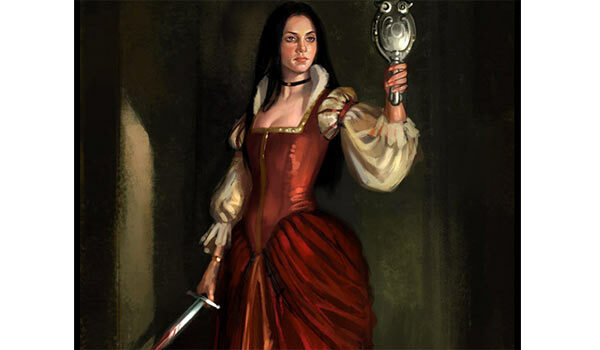 She is often compared with Vlad III the Impaler of Wallachia, on whom the fictional Count Dracula is partly based, and has become known as The Blood Countess. But in recent years, the truth behind these tales has been brought into question and some scholars now argue that Elizabeth Báthory was no murderer, but rather the victim of political betrayal. Elizabeth Báthory (1560 – 1614 AD) was a countess from the renowned Báthory family of nobility in the Kingdom of Hungary and cousin of the Hungarian noble Stefan Báthory, King of the Polish-Lithuanian Commonwealth and Duke of Transylvania. She was born on a family estate in Nyírbátor, Hungary, and spent her childhood at Ecsed Castle. At the age of 15, Elizabeth was married to Ferenc Nádasdy, the son of Baron, in what was likely a political arrangement within the circles of the aristocracy. Nádasdy's wedding gift to Báthory was his home, Csejte Castle. However, only three years after their marriage, Nádasdy became the chief commander of Hungarian troops, leading them to war against the Ottomans, and in 1604, Ferenc died at the age of 48, reportedly due to an unknown illness or a battle wound. During the war, and after Ferenc’s death, Elizabeth was left to run the Nádasdy estate, including management of its defence, business affairs, and upkeep, which would have been no easy task. It was during these years that Elizabeth was said to have gone on a brutal killing spree. The first account of Elizbeth Báthory’s killing spree appeared in 1729 (more than a century after her death) in the book ‘Tragica Historia’ by Jesuit scholar László Turóczi. According to Turóczi, Elizabeth would kidnap young peasant women from the nearby town or lure them to the castle with the promise of well-paid work, and would subsequently torture them to death through severe beatings, burning, mutilation, biting, freezing, or starving. She was then said to have ordered her slaves to gather their blood in buckets and fill a bath so that she could bathe in the blood of virgins to retain her youth. Since this first publication, rumours and stories spread quickly throughout the country and abroad. Elizabeth was ascribed with vampire-like tendencies and was said to have bitten her victims and drunk their blood. The stories of her serial murders and brutality are said to have been verified by the testimony of more than 300 witnesses and survivors as well as physical evidence and the presence of horribly mutilated dead, dying and imprisoned girls found at the time of her arrest. There are many conflicting accounts regarding the number of women Elizabeth Báthory is said to have murdered. But according to another popular story, one witness reported that Báthory had a book where she kept a list of over 650 victims. The location of this supposed diary is unknown. Before dying, Elizabeth’s husband, Ferenc, entrusted his widow to György Thurzó, the Palatine of Hungary, who would eventually lead the investigation into Elizabeth's alleged crimes. After rumours of Báthory's atrocities had spread through the kingdom, Thurzó ordered two notaries to collect evidence in March 1610, which supposedly included testimony from more than 300 witnesses (records actually show thirteen witnesses). In December 1610, Thurzó went to Csejte Castle and arrested Báthory. But he was faced with a dilemma – a trial and execution would have caused a public scandal and disgraced a noble and influential family, and Elizabeth's considerable property would have been seized by the crown. 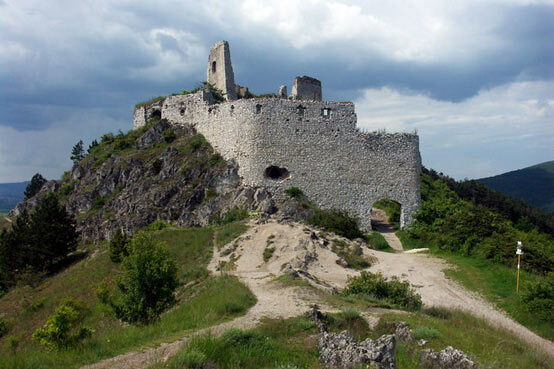 Thurzó successfully convinced King Matthias that bringing Elizabeth to trial would negatively affect the nobility, so the trial was abandoned and instead Báthory was imprisoned in Čachtice Castle. She was kept bricked up in a windowless room, with only small slits left open for ventilation and the passing of food. She remained there for four years, until her death on 24 August, 1614. In the last two decades, a number of historians, most notably Laszlo Nagy, have come forward to defend the name of Elizabeth Báthory, claiming that the accusations made against her were part of a cunning plan by Thurzò to imprison a bothersome political rival. A number of arguments have been put forward by those proclaiming Elizabeth’s innocence. 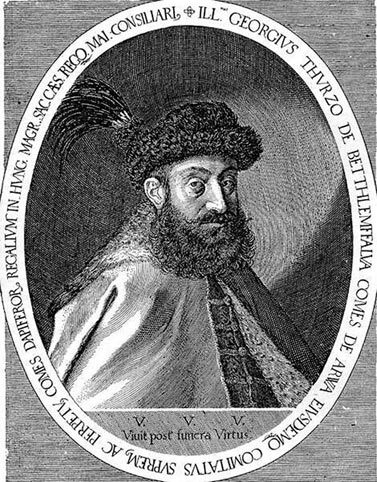 Firstly, Thurzò took steps to imprison Bathory as soon as he became Palatine of Hungary, leading some scholars to suggest that this move was pre-planned. Thurzò had been assisting King Matthias in his efforts to extend his control over powerful Hungarian nobles and the Bathory family certainly fell into his category. 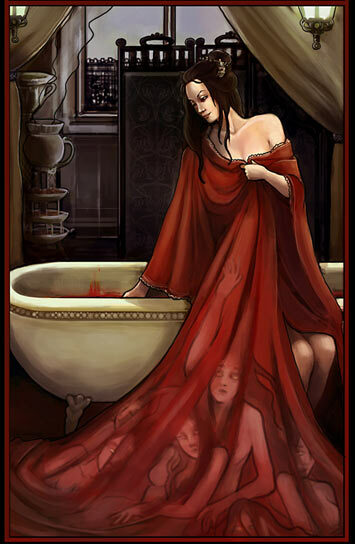 It has also been said that there is evidence that Thurzò was after Bathory’s significant wealth. Secondly, King Matthias and the Imperial Family owed substantial amounts of money to the Countess, which they had trouble paying due to the lack of cash flow in their coffers, and this may have provided motive to have her eliminated. In addition, being a widow in charge of a large estate, Bathory could have been susceptible to rumours that she was involved in witchcraft. Scapegoating widows and accusing them for being responsible for natural deaths was common in Central Europe during this era. It is impossible to know the true facts regarding Elizabeth’s story as she was never given a trial and so there were no official records of the case. It is known that confessions from Bathory’s alleged accomplices was obtained through torture, and they were subsequently executed. Elizabeth’s supposed list of victims has never been found, nor have other key documents that could have shed light on the true facts. If there was an attempt made to frame Elizabeth for crimes she did not commit, the real motivation remains only a matter of speculation. Overall, it is impossible to be completely confident in either proclaiming Bathory’s innocence or her guilt. However, unless any further evidence emerges to completely free her of the accusations, folk legends and popular media will unfortunately ensure that she is forever remembered as the Blood Countess, and one of the most brutal serial killers of all time. 'Innocent until proven guilty' which she was not proven to be. Very nice article and very well written. Exactly this year the castle was reconstructed and he is a very nice attraction for tourists. It seems to me that the only thing behind the view that she wasn't what we would consider depraved is the idea that a woman could not possibly have done those things. As for being betrayed - certainly that is likely. But to conflate the two things is shoddy scholarship. I'm a hungarian and I read the hungarian wiki and it says those where just false charges against her, while she was a normal woman who loved her family and her servants and gave home for the victims of the Turkish attacks. It says those legends are clearly fake, while the english wikipedia shouts into your face that she was a serial killer and such, as a fact, while its not. She was innocent and it's a fact. The english wikipedia about her should be deleted, and read the hungarian version about her. Interesting to hear. I'm not surprised by this contrast as we Americans (the biggest contributors to English Wikipedia) have a weird interest in the lurid/sensational. (Of course we're not alone, but still.) Perhaps you can contribute to the English article as it's certainly open for changes and additions. This article has some good sources, and I'm sure there are more in Hungarian, so anyone knowledgeable can help give the English article more depth. I'd also be curious to know if any fictional media has explored this other potential side of the story. It's not so sensational, but is certainly fascinating and full of potentially meaningful drama.